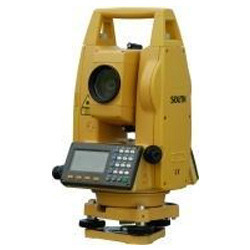 We are identified as one of the most competent of this industry for offering a wide gamut of South Products, that includes South NTS-350L/350R, NTS-360R, NTS-660R Series Total Station, Digital Theodolite ET-02. 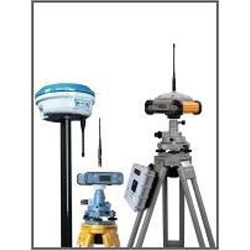 These instruments are designed using premium grade raw material and latest technology in synchronization with the set of international standards. In addition to this, our offered products are highly appreciated by our clients for their high-performance features, which are instilled as per requirements of our clients. 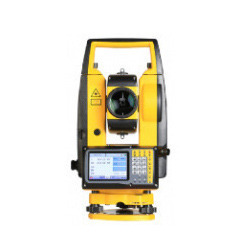 We are engaged in offering our clients a high quality range of Total Station NTS-362R / 362RL that is manufactured as per the set industry norms using quality approved raw materials and sophisticated technology. Keeping in mind the diverse requirements of our clients, we provide the entire range in various sizes and technical specifications. In order to ensure the quality of this product, our quality analysts perform a series of test against various parameters. 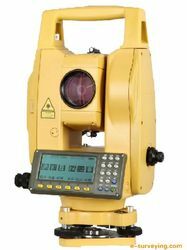 With the extensive knowledge and experience in this respective domain we are engaged in offering high quality South Total Station NTS - 662R. We only use qualitative raw material and sophisticated technology while manufacturing this station. The offered station is widely appreciated all over the nation for its salient attributes. With our quality range, we are able to maintain a strong foothold in this industry. 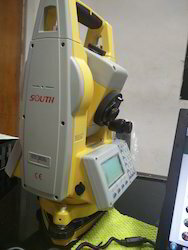 With our vast experience in this domain, we have enabled us to serve our clients with a broad array of South Total Station Model NTS-312B NTS-315B. Our provided range is manufactured using the latest technology, innovative machines and the finest quality raw material. Moreover, this product is tested on various stringent parameters to ensure its high performance and quality. Moreover, clients can avail the entire range at market leading prices. Market-proven Pacific Crest Maxwell 6 technology delivers demonstrated performance and outstanding efficiency. Such a module enables this receiver to be multifunctional. 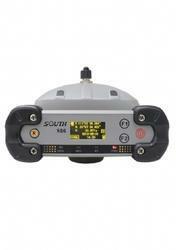 You can easily change between radio RTK mode and network RTK mode subject to practical condition. Interchangeability would definitely get you a very economical solution. Double batteries (8800mAh totally) that can last up to 15-20 hours (in full charge) are built in the rugged unit, which provides almost continuous operation in 2-3 working days. And it greatly reduces the likelihood of low power during any full-day job. The 0.5-2W (adjustable) transmitting radio module equipped inside is a distinctive feature that brings you great convenience. Within the effective working range (3-5km typical, 8-10km optimal), the base and rover can be switched freely while displacing the external radio as well as the external battery is no longer necessary. With the help of our team of adroit professionals, we have become a reliable organization of a high quality assortment of Diagonal Eyepiece. This is the product that has gained exceptional value among our clients for durability and excellent quality. We present the entire range in a variety of customized options, so as to meet different requirements of our prestigious clients. 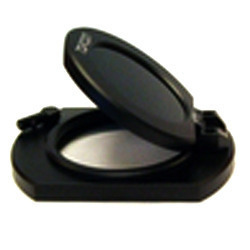 This eyepiece can be availed from us at most reasonable prices. 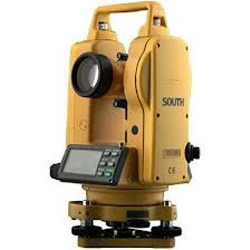 Leveraging on our industrious professionals, we are offering a supreme quality range of South Digital Theodolite ET-02 that is mainly used for surveying. This product is manufactured using premium grade raw material and contemporary technology. We assure our clients that, our offered product is quality tested on predefined parameters, in order to meet the set market standards. Apart from this, our prestigious clients can avail the entire range as per their needs at highly competitive prices. • Vertical angle: integrated unitary axis, less components. Less offset tolerance. 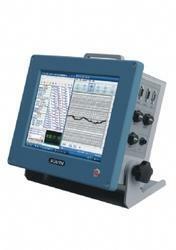 • Angle reading: 4 detector technology, reduce disk offset angle and rit tolerance. • Optical path change: totally new 5 axis design, fully isolation emitting and reflect signal. 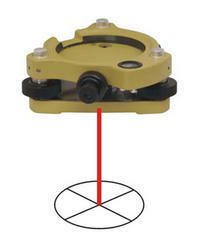 Reduce optical Crosstalk. • Clear telescope and high accuracy tribrach system, make sure pointing accuracy. 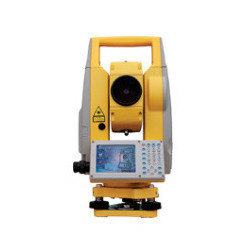 • Micro survey tile tolerance by CCD image to compensate. 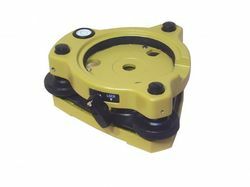 H66 static GPS receiver features largely in simple setup, easy operation and high performance for control survey over long distances. For example, the remote control unit allows you cable-free operation; mode settings and status display are readable from the color LCD screen; the one-key operation brings you easy but intelligent work; when the LCD shows nothing in freezing environment, the indication LEDs help you to understand the status of the data collection via blinks. 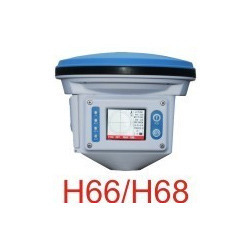 Apart from the basic static survey, the additional tracking function of H68 receiver provides you a variety of applications for Stop & Go work at centimeter level. We are a leading supplier of Laser Tribrachs. 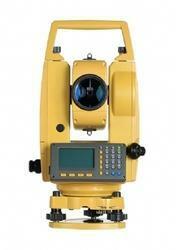 We have gained recognition as an eminent enterprise, devotedly engaged in offering a broad range of Optical Tribrachs. 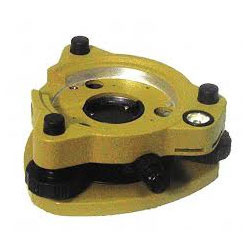 Backed by a team of experts, this product is manufactured using high grade components and advance technology. Our offered range is precision-designed, in order to meet the international standards. Furthermore, this product is availed in various technical specifications, as per the varied needs of our valuable clients. 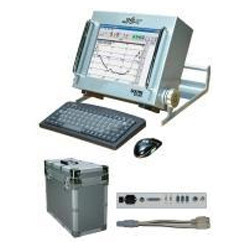 Our range is stringently tested on various parameters to assure it on counts of quality. 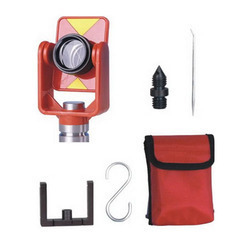 Mini Prism Package includes: Plastic Yoke, Prism Mount, Plumb Bob Point, Prism with target, Soft Pack Bag. 5/8 x 11 Thread Size. Owing to our vast experience in the concerned industry, we are offering a comprehensive array of Solar Filter. The entire range is designed using high grade components and the latest technology. We offer this filter in different models and other related specifications, designed to suit ever-evolving needs of our prestigious clients. Moreover, our offered range is rigorously tested by our experts on well-defined parameters, in order to deliver a flawless range at our client's end. 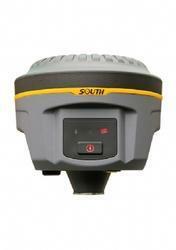 Looking for South Surveying Instruments ?